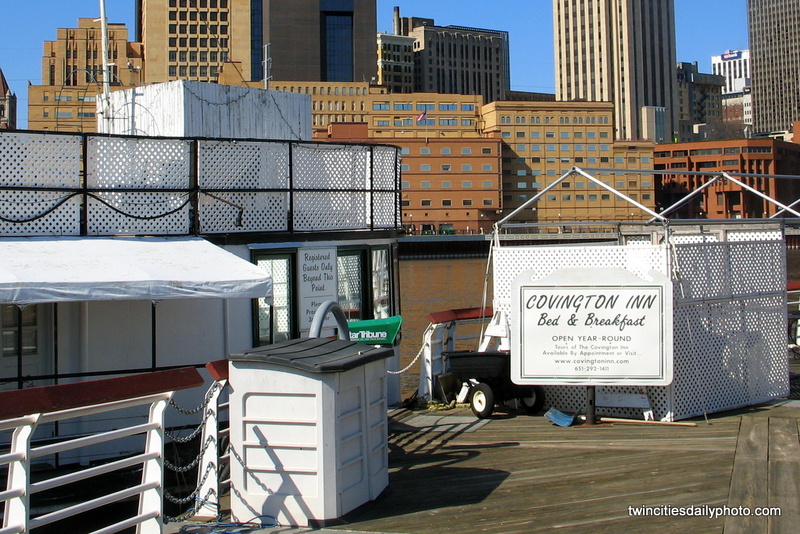 I stumbled across the Covington Inn while looking for an old restaurant from a long time ago. The restaurant had changed names, but was still there and had an expanded menu. 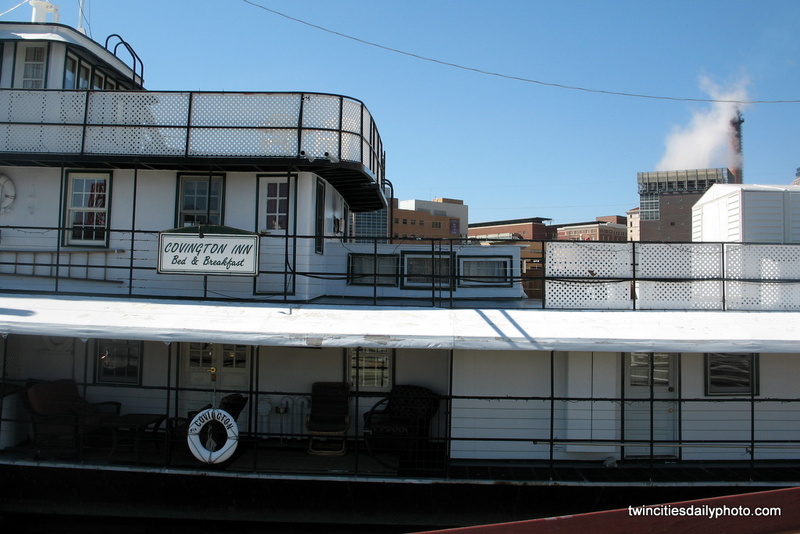 Right across from the restaurant is the Covington Inn, which is a floating Bed and Breakfast on the Mississippi River. It's docked up on the river in St Paul within Harriot Island [across from downtown St Paul]. I looked around their website for their rooms and rates. From what I see is they have four different rooms [I couldn't tell if they had four rooms only, or if it was four different themed rooms]. Each suite offered a unique view of the city with the Pilot's Room being the favorite. If anyone who stumbles across this and has stayed there, I would love to hear some feedback from you. Now that's a unique B&B. Sounds wonderful. It is my 40th birthday, thank you very much!